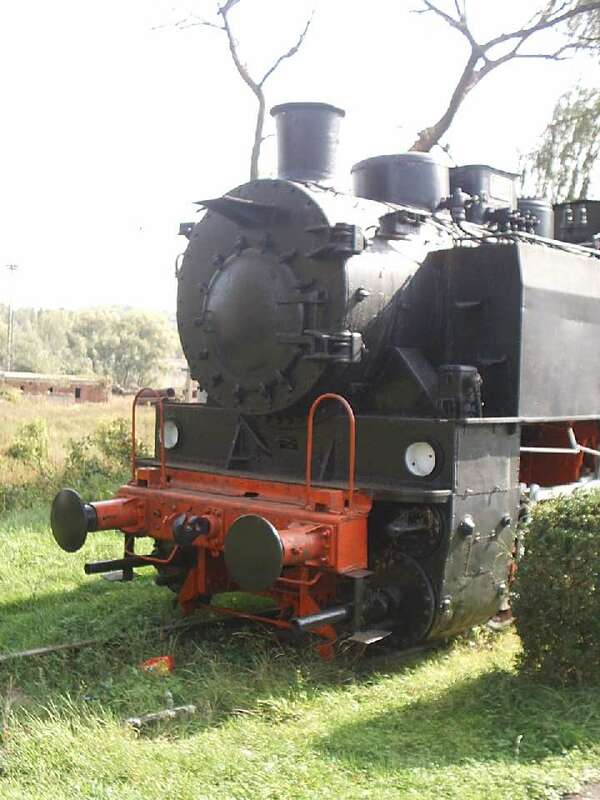 Industrial (CFU) steam locomotive 14, built in 1954 in Resita. 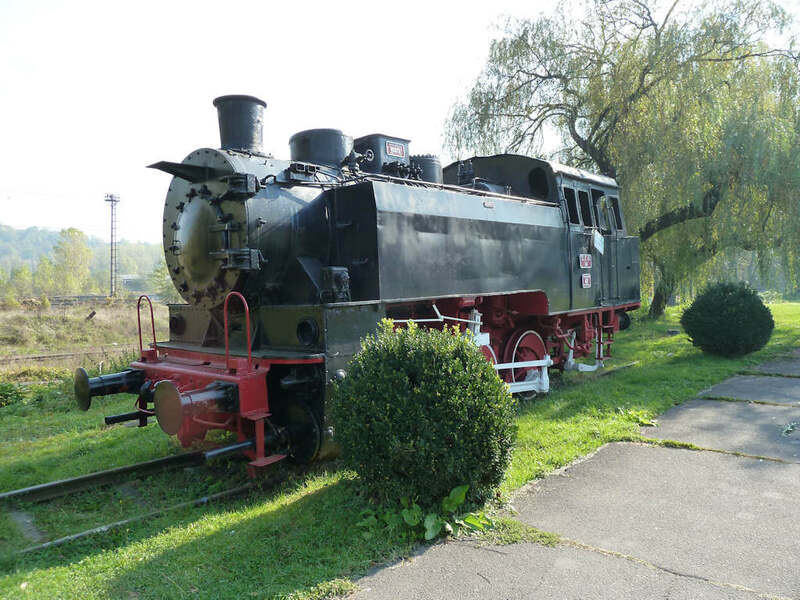 Industrial (CFU) steam locomotive 28, built in 1960 in Resita. It is the newest locomotive in the collection, although not the most modern. 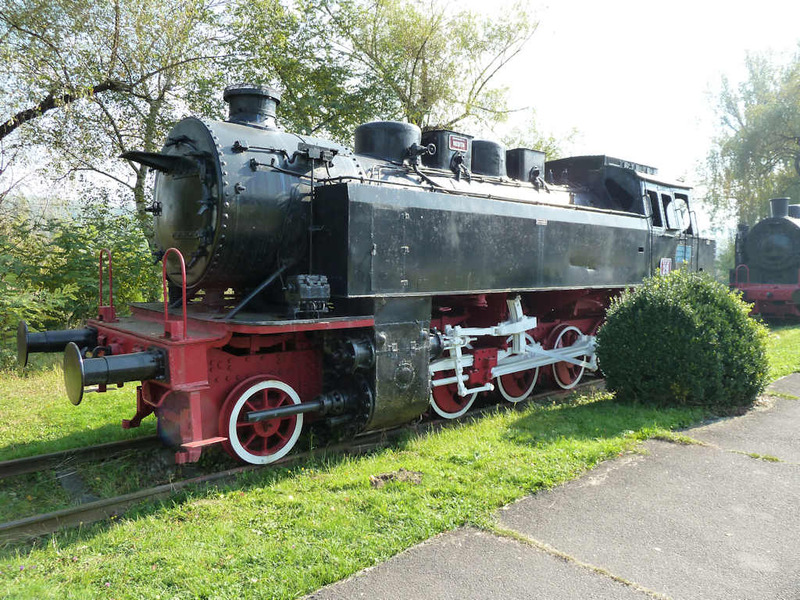 Large industrial (CFU) steam locomotive 29, built in 1952 in Resita. 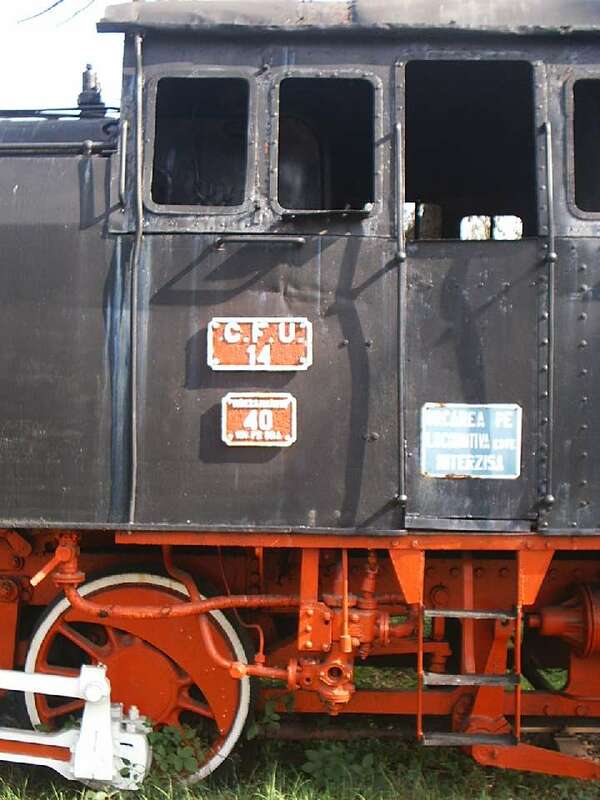 Detail of the plates from CFU 14 steam locomotive exhibited in Resita Museum. 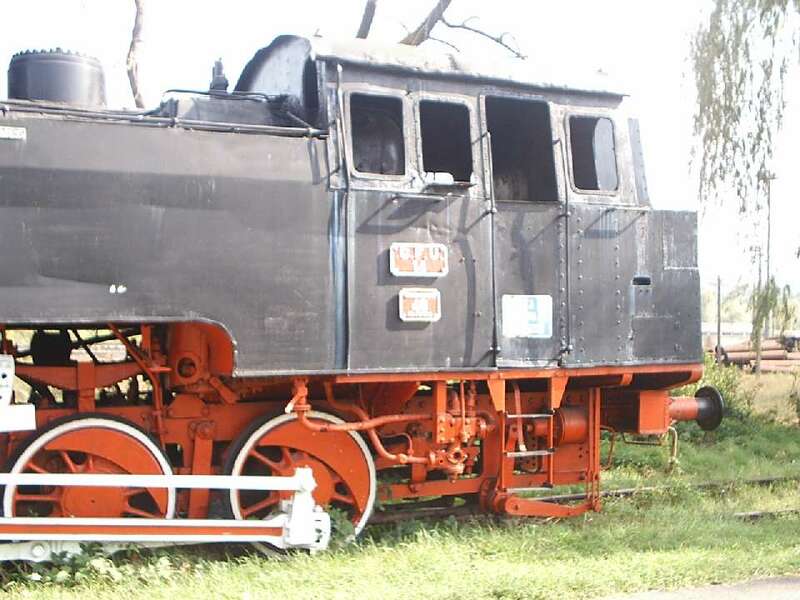 The Loco was an industrial design made for the shunting needs of Resita Factories and could travel with a maximum speed of 40 km/h. The text from the big blue plate means "Forbiden to climb on the locomotive". 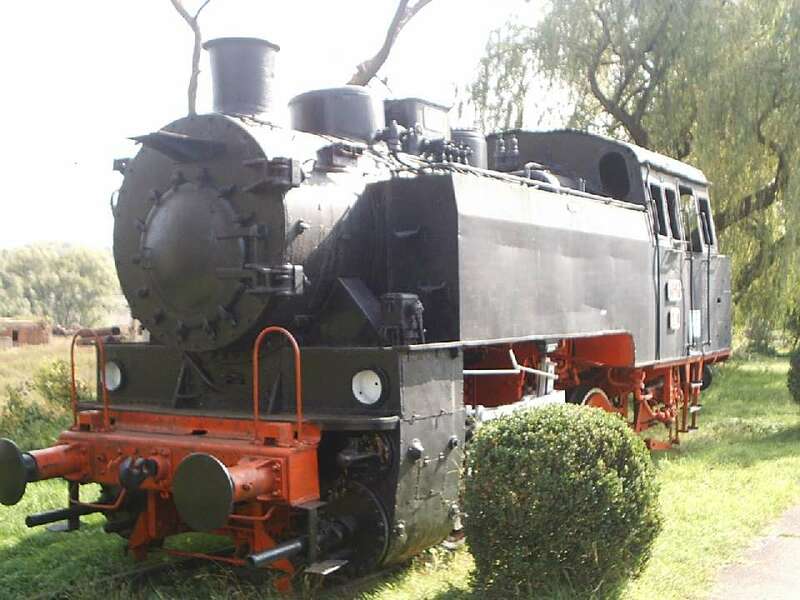 CFU 14 normal gauge steam loco was built in 1954 at Resita Locomotive factory. It is part of a 145 locos batch built between 1945-1958 and designed to carry out shunting tasks in siderurgical factories. 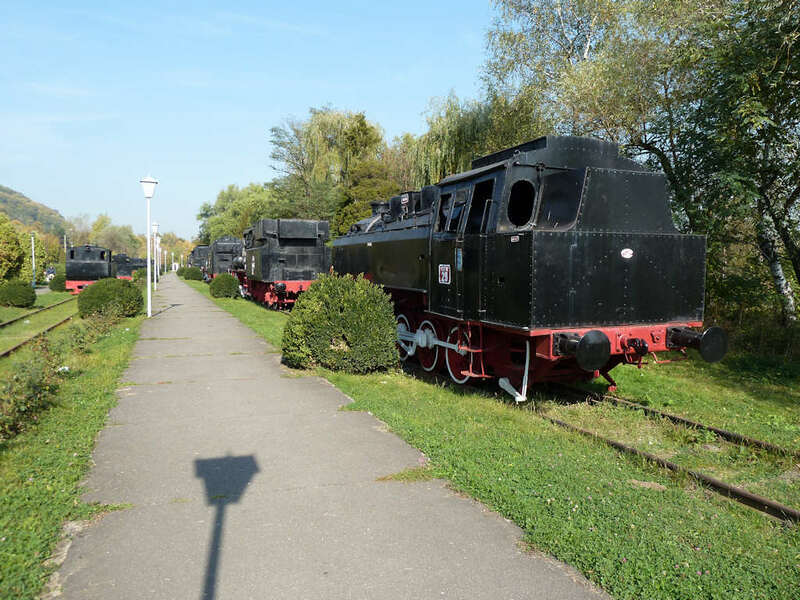 This type of loco was also exported in China (20 locos) and East Germany (1 piece). 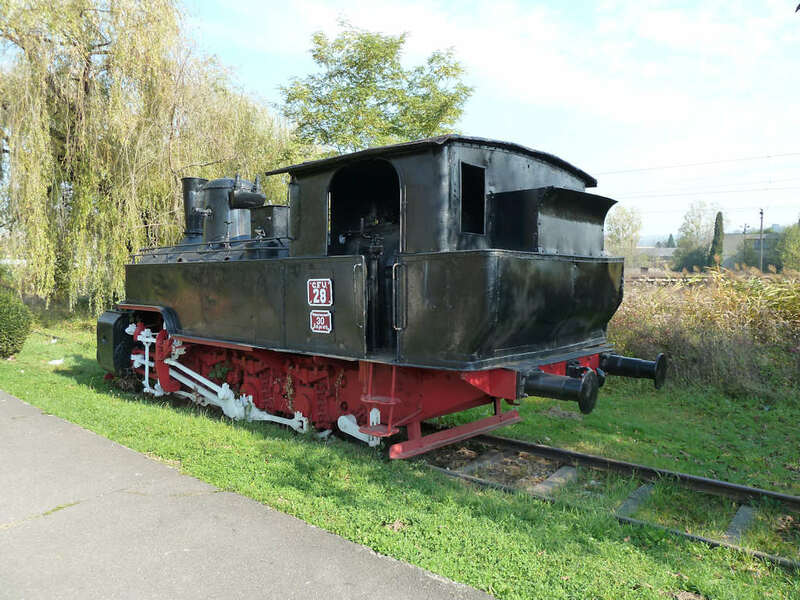 Some technical data: Lenght: 9,4 metres; Empty weight 44,5 tons; Service weight: 60 tons; Boiler pressure: 14 kgf/square cm; Tractive power: 11400 kgf. The loco can reach a top speed of 40 km/h and is able to take curves with a minimal radius of 50 metres. 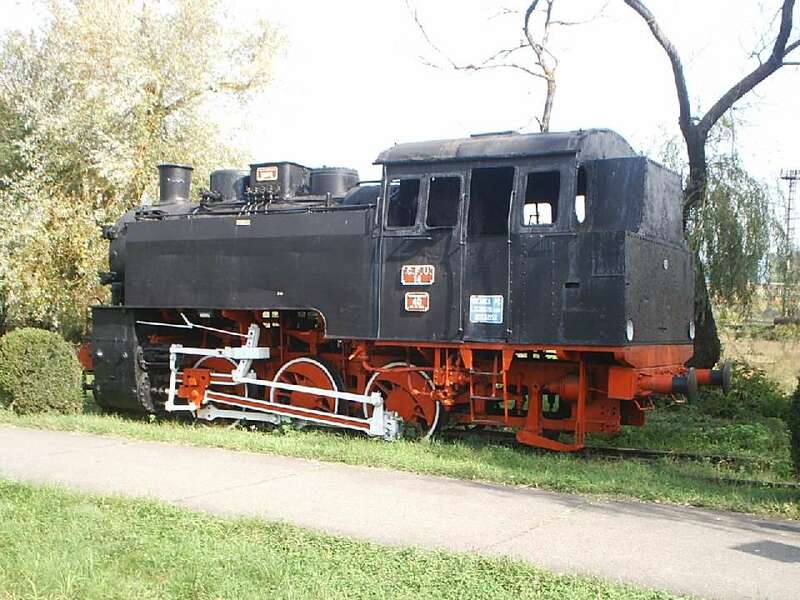 Back View of CFU 14 normal gauge industrial steam loco exhibited in Resita Steam Locomotives Museum. 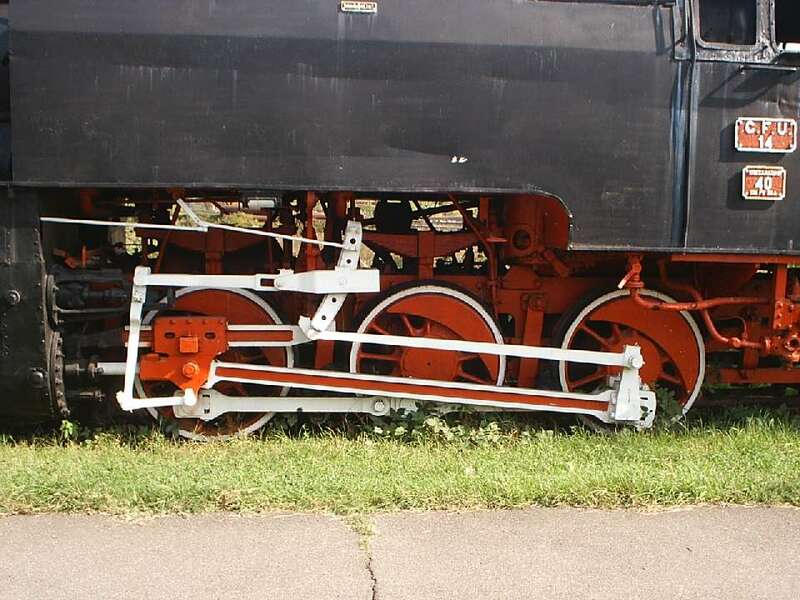 Detail of Walsachaert-Heusinger external distribution fitted on CFU 14 steam loco. Driver's cab detail from CFU 14 steam loco exhibited in Resita Locomotive Museum. 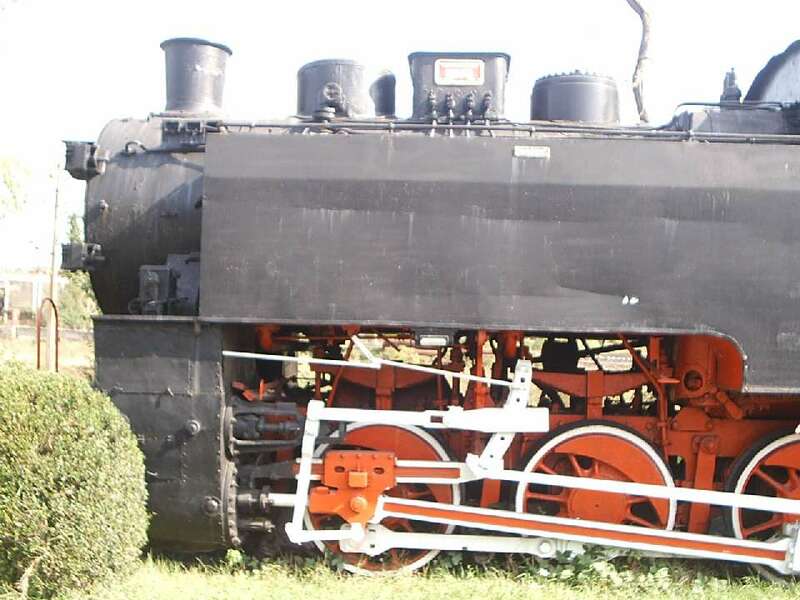 Front side view from CFU 14 steam loco exhibited in Resita Steam Locomotive Museum. The loco's main coupling rods, left cylinder and front suspension are also visible. 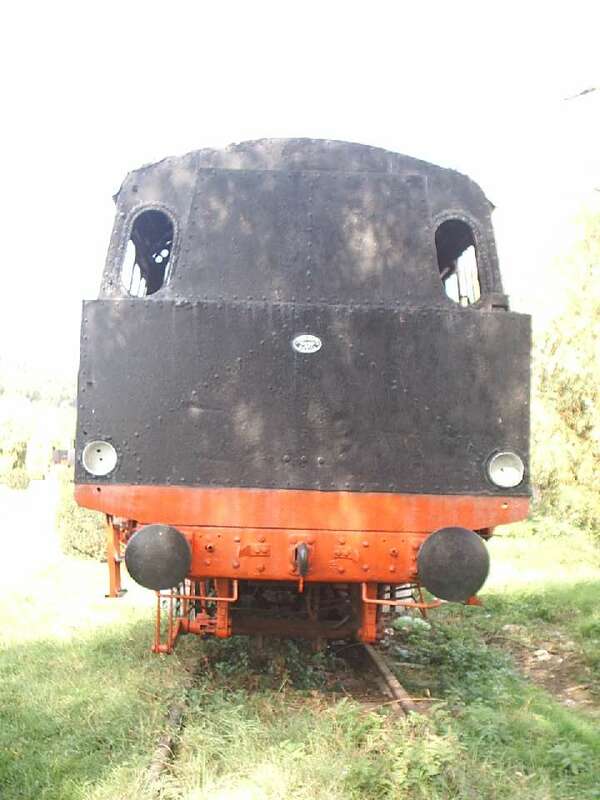 Front view of CFU 14 steam loco in Resita Locomotive Museum. Yet another view of CFU 14 steam loco.